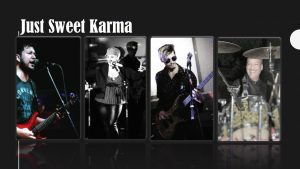 JUST SWEET KARMA (JSK) is a conglomerate of some of the brightest musical Global talent, bringing a high energy show experience to your event or venue! Over 30+ years of combined experience, this highly skilled, energetic group of entertainers covers everything style from Motown to Mother’s Finest and Santana to Bruno Mars, Michael Buble to Demi Lovato, John Mayer and Pink and all points in between! Let us make your next event even more memorable!